So you would like to try VR racing on your smartphone? The VR Real Feel kit has you covered. 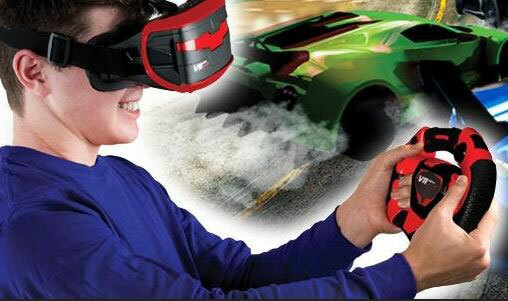 It comes with a Bluetooth steering wheel and VR goggles. You get 4 cars to choose from. As you play the game, you get to unlock new tracks. The headset is compatible with large smartphones up to iPhone 7 Plus. VR Real Feel Racing gives you feedback when you bump onto other racers. The headset is comfortable and has adjustable straps. Costs under $30 at this time.